The first presentation I attended at CNTRSTG was by Boston Power, a battery company that's been making some waves lately with probably the most significant enhancement to Lithium Ion batteries that we've seen in several years. Given how little Lithium Ion batteries have changed in the past decade, that's not exactly hard to do, but Boston Power is definitely moving the needle. 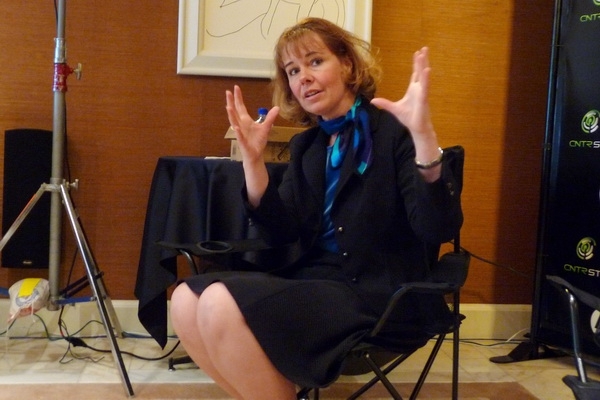 Dr. Christine Lampe-Önnerud, the founder of Boston Power in 2005, is a scientist by training and was part of a team of 20 people who pioneered lithium ion technology in the 1990s. She studied at MIT, and worked at Bell Labs; she knows batteries. Her team at Boston Power has over 300 years of combined experience in Lithium Ion batteries. There are two main problems with Lithium Ion batteries today: poor long-term performance and the fact that batteries just don't power our devices long enough to make us happy. Although the examples that Lampe-Önnerud brought up seemed unrealistic in my experience - she mentioned serious battery performance loss in the first three months - it's true that over the long term battery performance gets increasingly worse. I tend to use my laptops in fairly controlled environments, but if someone is routinely using (or leaving) their laptop in extremely hot or cold environments the viability of the battery will definitely be impacted. You might get four hours of battery life on your laptop when you first get it, then six months later you're only getting three hours of run time. This is what Boston Power is trying to change. Figure 1: Dr. Christine Lampe-Önnerud, the founder of Boston Power. The charging cycle industry norm for Lithium Ion batteries is broad: anywhere from 150 to 300 cycles, which varies by manufacturer. That means that if you use your laptop for a few hours, then recharge it, you've used up a charging cycle. Shallow charges also impact the longevity of the battery cells, so using your laptop for 10 minutes then plugging it back in isn't the best idea because it will use up part of a charging cycle. I've seen all sorts of opinions expressed on this matter, and unfortunately I wasn't able to ask this question to Lampe-Önnerud to find out how rooted in reality this concept of shallow charging really is. So what is Boston Power doing about these problems? The company is only four years old, but they've managed to partner with the biggest laptop company in the world: HP. HP is releasing a line of batteries called HP Enviro, which feature 1000 charging cycles and 3 year warranties. The HP Enviro batteries, as you can probably guess by the name, also leverage the environmental advantages of the Boston Power approach. There are no heavy metals or PVCs in the product, and they're highly recyclable. These batteries are created using Boston Power's design and technology, which typically test in the 1400 charging cycle range - when asked why they didn't put 1400 charging cycles on the package, Lampe-Önnerud said that the number of charging cycles depended on a number of environmental factors and 1000 was the minimum they could promise. It's nice seeing someone in the technology world under-promising and over-delivering. Can you imagine if you bought a laptop that had five hours of advertised battery life and it worked for seven hours? Rather than try to invent new technologies, they worked to tighten the specs of what was out there today - to fine tune the specs and deliver greater performance than what is typical today. Their batteries are enclosed in aluminum, which is a great heat conductor, whereas most batteries are encased in carbon, which doesn't conduct heat. Most lithium ion batteries have trouble with heat, which is why batteries tend to be on the edge of the laptop. Boston Power batteries can deal with the heat much better, meaning you can put the battery cells in multiple places inside the laptop, gaining more power overall. She hinted at working with several design teams to re-think the location of batteries. I strongly prefer removable batteries, but if I knew that the battery inside the laptop was going to still give me as much run-time power three years down the road, I wouldn't care quite so much. In their product roadmap, they have technologies to increase run-time on the battery, meaning that down the road we should see Boston Power batteries that last longer than other batteries on the market. 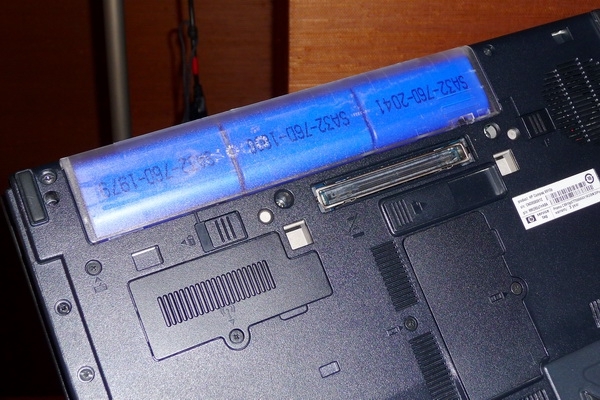 Figure 2: A sample Boston Power battery in a Compaq notebook. This sample battery has a translucent shell so you can see the Boston Power battery cells. So how do you get a Boston Power battery? That's the biggest problem right now: availability. Right now HP is the only company that's selling Boston Power batteries, but they don't have an exclusive on the technology - HP simply worked closest and longest with Boston Power and are now reaping the rewards from that. The Boston Power batteries are "drop in" for several models of HP 3 and 4-cell Pavilion notebooks, meaning they're exactly the same size as the batteries they are replacing. The batteries are selling for about $30 more than normal batteries, so there is a price premium - though if you've ever gone through multiple batteries for your notebook, that $30 price premium vanishes immediately when you can keep using the same battery for several years. I was told that within a few weeks the HP Enviro batteries should be available as an option on HP.com for ordering customized notebooks. Obviously, HP and Boston Power want to get more of these batteries out for more notebooks, but that will take time. Will you see Boston Power batteries available from other notebook companies? Quite possibly. The Boston Power batteries are very price competitive with other batteries that the OEMs are currently using. Sony, Samsung, LG, and Sanyo have largely run the battery industry for the past 17 years, but it's within the realm of possibility that these big battery makers might license Boston Power technology to improve their own batteries. 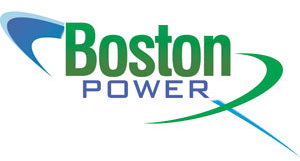 Boston Power's technology is definitely the biggest thing to happen to Lithium Ion batteries in the past five years, and I can't wait to see what they accomplish over the next couple of years. Jason Dunn owns and operates Thoughts Media Inc., a company dedicated to creating the best in online communities. He enjoys photography, mobile devices, blogging, digital media content creation/editing, and pretty much all technology. He lives in Calgary, Alberta, Canada with his lovely wife, and his sometimes obedient dog. He was spoiled by the 11 hour battery life of his Fujitsu P7000 laptop. Nice article. I was curious how you'd be covering CES and as usual you don't disappoint. Everyone else is doing breadth versus depth, so if you continue with this type of coverage we will certainly see some unique coverage. The charging cycle industry norm for Lithium Ion batteries is broad: anywhere from 150 to 300 cycles, which varies by manufacturer. That means that if you use your laptop for a few hours, then recharge it, you've used up a charging cycle. Shallow charges also impact the longevity of the battery cells, so using your laptop for 10 minutes then plugging it back in isn't the best idea because it will use up part of a charging cycle. I've plugged and unplugged my HP TX2530EA tablet many more than 300 times from a shallow-charge perspective and haven't noticed any significant change in battery performance - it sounds like an area where there is still quite a bit of debate though as to what the real-life situation is! Glad to see ongoing progress in this area though! Were there any discussion around the potential of hydrogen fuel batteries?